According to the DOT, more than 700 million passengers will board nine million domestic flights in America this year, underscoring how influential air travel is to Americans and the economy, and the importance of these actions. The DOT hopes promoting airline competition will benefit the more than 700 million passengers flying in America this year. 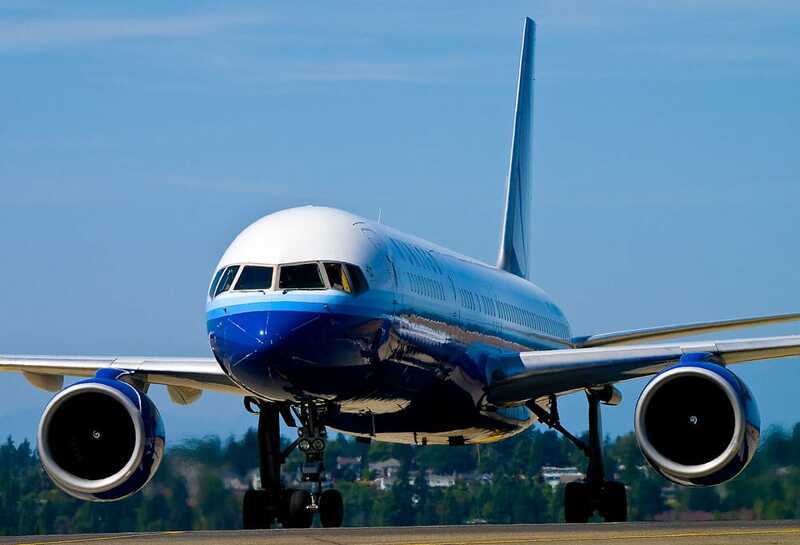 On Tuesday, US Transportation Secretary Anthony Fox announced that the US Department of Transportation (DOT) will be taking a number of actions aimed at both enhancing protections for air travelers and promoting airline competition. “Airline passengers deserve to have access to clear and complete information about the airlines they choose to fly and to expect fair and reasonable treatment when they fly,” said Secretary Foxx. He added that the actions the agency was taking now and in the coming months would not only expand protections, but allow passengers to make well-informed decisions when arranging travel, ensure more fair treatment, and give consumers a voice in how the airlines are regulated. The DOT has issued an Advance Notice of Proposed Rulemaking, which will “ultimately result in a requirement” that consumer’s baggage fees are refunded by the airlines in the case that their luggage in substantially delayed. This comes after the DOT previously took steps to require airlines to reimburse lost luggage fees. The overall pool of US air carriers that are currently required to report details to the DOT regarding on-time performance, oversale, and mishandled baggage rates will increase. The current practice of requiring carriers who account for more than 1% of domestic scheduled passenger revenue to report this data will be lowered to include carriers that account for at least .5% and up. This change is scheduled to take place on or after January 1, 2018, and the data will be included in the DOT’s monthly Air Travel Consumer Report, which is available to the public. US airlines will be required to report the data for all flights operated by partners using their brand, such as regional airlines, in order to make the airline performance reports more complete. This data will also be part of the Air Travel Consumer Report. In addition to the current reporting of mishandled baggage numbers, the airlines will now be required to report the total number of checked bags as well. Previously, mishandled baggage numbers were compared to the overall number of travelers, and this additional data will give passengers a more accurate idea of an airline’s mishandled baggage rate. Airlines and / or online travel sites that display and sell airline tickets will be prohibited from biasing how they present the flights available for purchase for certain airlines unless they disclose that bias. The largest U.S. airlines will now be required to submit reports on how often they mishandle wheelchairs. The DOT is extending its Advisory Committee for Aviation Consumer Protection, including adding new experienced members to the committee to continue providing protection for air travelers. In addition to the above action, the DOT is working on separate rulemaking the will explore the issue of requiring airlines and ticket agents to provide consumers with prices that include ancillary and additional service fees like checked baggage that most consumers purchase, alongside the actual ticket price at all points of sale. In addition, the DOT is looking into potentially unfair business practices by soliciting feedback from consumer groups and industry and other stakeholders about the impact on consumers when the airlines restrict access to their schedule and pricing information. Some airlines currently restrict online travel sites from listing all fare and flight options, which the DOT is looking into to assess whether that manner of restriction makes it hard for consumers to find the most affordable and convenient flights to fit their needs. What Do Loaded Guns, Batman Knives and Bear Spray Have in Common? Going through the TSA checkpoint might not be the most enjoyable part of the trip, but going off the latest report of TSA confiscated items for this past week, they’re definitely removing a fair number of dangerous, and unique, weapons from the carry-on bags of passengers from around the nation. Whether or not to require travel agents to adopt minimum customer service standards in order to ensure fair treatment of customers. This would include things such as the right to cancel a reservation within 24 hours and receive a timely refund. The benefits of further defining what the DOT considers to be a “ticket agent,” in order to provide clarity to all companies that market air travel in what consumer protection rules they are required to follow. For those interested, a fact sheet regarding these changes is available for viewing by clicking here.